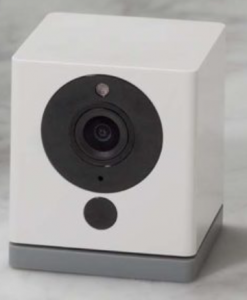 I ordered two Wyze Cams, and was concerned about the “too good to be true” part when the initial ship date slipped. The company kept in good contact, though, and the cameras shipped shortly thereafter with a bonus extension cable for our trouble. I have to say that I was impressed. They’re cool little devices, nicely designed and carefully packaged, and the necessary smartphone app is a cut above the usual “we have to have an app before we ship” shovelware. Josh had great fun with his (mostly torturing his brother, who doesn’t like cameras around). 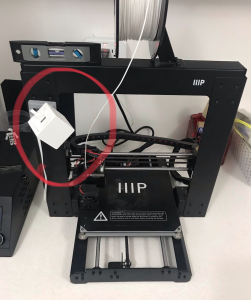 I found uses for mine, first as a way to monitor a server console but then I found the camera, with its magnetic base, would pop right onto one of my 3D printers and give me an instant remote printer monitoring device. The fun grew when Wyze released the $30 Wyze Cam Pan, a slightly larger edition that can pan through 360° as well as up and down. It even has a creepy motion-follow feature that will track people and critters as they move through the cameras field of view. 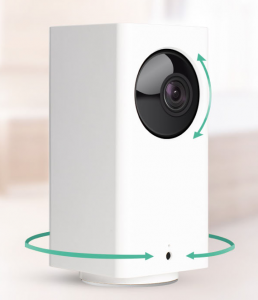 I expected some fun toys, but the Wyze Cams have been both fun and quite useful, for little more than pocket change.